BRANDON, Man. – Mike McEwen wanted to take his time getting into his early-morning game Sunday, but gladly took advantage of early steal opportunities to kickstart Team Manitoba to an 8-3 win over Martin Crête of Team Quebec at the Tim Hortons Brier, presented by AGI. BRANDON, Man. 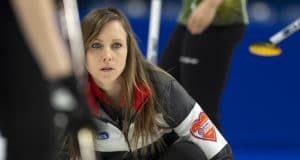 – Two-time defending champion Brad Gushue had his hands full and needed a last-rock draw in the 10th end to finally subdue rookie Scott McDonald 7-6 in Saturday’s evening draw at the 2019 Tim Hortons Brier, presented by AGI. BRANDON, Man. 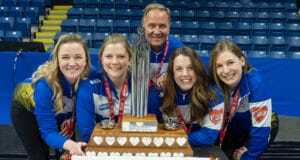 – A red-hot Brad Jacobs and Team Northern Ontario (1-0, Sault Ste. 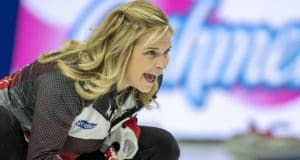 Marie) put on a clinic Saturday in rolling to an impressive 10-2, eight-end win over Brendan Bottcher and Team Wild Card (0-1, Edmonton) in the opening draw of the 2019 Tim Hortons Brier, presented by AGI. BRANDON, Man. 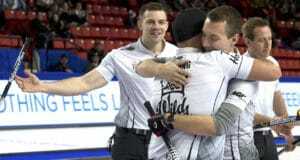 – Brendan Bottcher of Edmonton scored three deuces en route to an 8-4 win over John Epping of Toronto to win the wild-card game and advance into the main draw of the 2019 Tim Hortons Brier, presented by AGI, at Westoba Place.